Just received the countersigned writer’s contract back from Little, Brown Book Group confirming that they’re to publish later this year my brand new exciting (well I’m excited!) 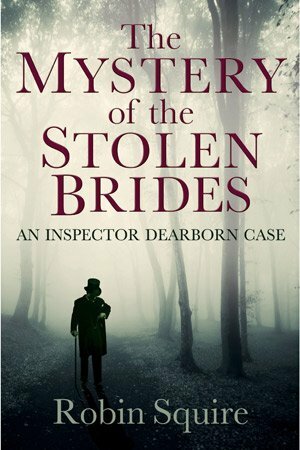 version of an earlier story of mine for their wonderful Crime Vault series, about Victorian Detective Inspector Dearborn getting to grips with the disappearance on her wedding day in June 1891 of a fresh young bride. Who took this lovely girl, where did she go to and what on earth happened when she got there? The case is given a further twist by a family involvement from earlier times, another bride, another mystery. Are the two cases connected? Add to this the bridegroom’s own desperate investigation into his lost loved one’s whereabouts and all sorts of murky and fascinating secrets from the past are unearthed. Watch this space for news of the publication date. The mysterious and remote ‘Blakemoor’ in the book was once to have been played by Christopher Lee in a film I’d written. I met him on several occasions to talk about it. When the finance didn’t come together and Christopher went off to do other things, I sat down and crafted a novel from the screenplay of the film that never was. Sphere Books published it, so did Bachman & Turner and St.Martin’s Press in New York, marketing it as ‘horror’. What happens in the story could well attract horror devotees, but I always saw it as a tragic and twisted love story with a Victorian detective and a dual investigation to get to the roots of what happened and why. Now, more than ever before, this latest development of that book cries out to be filmed. Are there any film scouts out there? If anyone knows one, give ’em a shout, would you?